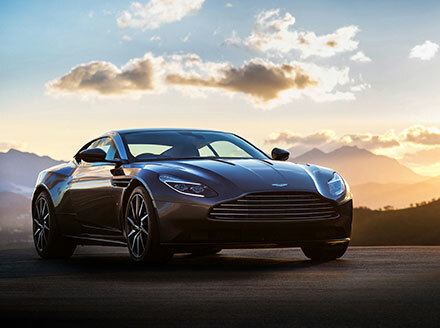 "Excellent Service offered with the exclusive supervision of Mr Percival Many Thanks"
Read our customers' honest and impartial Aston Martin DB11 car reviews and ratings to easily find your next car at Motorparks. My DB11 Volante is the most enjoyable car I have ever driven. It is so well balanced with varying degrees of power at the fingertips. When I get into the car, it is like putting on a leather glove. Everything fits perfectly and works with precision. The workmanship is first class. Then we have the exterior view. The Volante is quite stunning, whether with the roof up or down, it is undeniably beautiful. This is a 'keeper', just like my DB9 ! Very pleased with this car and a massive improvement over the Rapide S. Handling is superb and the electrics up to Mercedes high standards. Still early days, but if the first month is anything to go by it is going to be a very magical experience. A true grand tourer, performance, comfort, style and pedigree plus German engineering - what more could you want? Unbelievable, only had the DB11 for two days and the comments from other drivers are superb. I have owned 3 Aston Martin Vantages, a DB9 and now a DB11, which is undoubtedly the best so far. Easy to drive with stunning performance if required and beautiful to look at.